Hair Club Providence is located in the AAA Building. It is a 2 story red brick building with green trim in a professional complex. PARKING: Parking is free. Please park in any of the spaces located in the front of the center. IMPORTANT NOTE: Do not enter through the AAA entrance. There is a sign at the entrance to the left of AAA, which is marked HCM/HCW. Please enter through this door and we are on the 1st floor in the back (Suite 104). Please enter through the door marked consultations. Take I-95 South to Exit 10B. Make a right off the ramp and your 1st right into the parking lot of the AAA building. We are the main door on the left hand side as you are facing the building. Go through those doors and we are on the 1st floor in the suite in the back left (Suite 104). Please enter through the door marked "Consultations". Take I-95 North to Exit 10. Make a left off the ramp and continue straight under the highway overpass. Make your 1st right into the parking lot of the AAA building. We are the main door on the left hand side as you are facing the building. Go through those doors and we are on the 1st floor in the suite located in the back left (Suite 104). Please enter through the door marked "Consultations". Follow Route 1(Post Rd) south. At the end of Post Road go around the rotary and take 2nd right to Veterans Memorial Drive. This will bring you to a 2nd rotary. Take the 2nd right to continue on Veterans Memorial Drive. This will bring you to a 3rd rotary. Take the 2nd right to Centerville Road. Follow Centerville Rd through 1 traffic light and under the highway overpass. Take the exit for Apponauge Village and make a right at the light at the end of the exit. You are now heading East on Centerville Road. Continue down the road through 2 traffic lights. At the 3rd traffic light, proceed into the far left lane to prepare for a left hand turn. Turn left and follow to the top of the hill where you will make a right hand turn into our parking lot. Follow the access road down to the bottom and curve right. We are the building on the left hand side. We are the main door on the left hand side as you are facing the building. Go through those doors and we are on the 1st floor in the suite located in the back left (Suite 104). Please enter through the doors marked "Consultations". Yes, just like you my first day I was nervous, scared that there was nothing that was going to be able to help me. I left and went home giving great consideration to the things that were explained to me in the consultation and I said to myself "what else do I have to lose other than more hair?" So throwing caution to the wind I said to myself "you need to do this for you". My experience has been nothing but welcoming, loving and understanding and for that I am truly grateful. I feel like a woman and not a statistic. So my advice is "do it". Meeting Lauri was the best thing that happened to me because I was feeling low as to how I appeared with my hair loss. On day of consultation she gave me a very thorough explanation of how the program worked and what the result would be. The stylists have all been wonderful, very detailed and pleasant. I look forward to a long relationship with Hair Club. The staff are very professional, pleasant accommodating and a joy to work with. At my hair salon, I have referred many ladies that are upset with thinning hair or hair loss. Hair makes a difference! No when I get dressed up I feel more confident. I am very happy with the way the staff in Warwick takes care of me. I would recommend to others. Having hair has changed my life. My confidence and self esteem has really increased. If you have the means to do it and want to feel better about yourself, I highly recommend Hair Club. My hair is so much easier to take care of! I now spend a lot less time getting ready in the morning. I consider it a luxury. My husband and I are so pleased with the results! Always professional and friendly. A real touch of class. Everyone I have dealt with here has always been helpful and an excellent guide in hair replacement and scalp management. I went on a cruise recently and did things I never would have done before because of my hair loss. I went zip lining and sailing and it was rainy and windy and I didn't worry at all that my hair loss would show. When we got off the ship on an island it was extremely windy and my husband and I were with another couple. I said to her "Wow! this is so windy". She looked at me and said "isn't it great that we are not wearing a wig". That is how natural my appearance is. I've been to many different centers across the US; this center is #1 in my book. Excellent stylists and very flexible with scheduling. I must say that Donna B. is absolutely the best and Jody is an awesome Site Manager. Everyone at the RI center made me feel very welcome from day one. The whole team there are superstars and that really makes such a positive difference. When what you're buying is good, it can be easy for the service to become complacent, but that's just not the way it is here. From the staff at reception, right through to Jodi, the MD and, of course the stylists who are just little magicians, the attitude is professional, caring and understanding. Thanks guys, you're the best. Hair Club has totally given me my confidence back. A few weeks ago I was looking at my image in the mirror and could not believe the difference to how I looked before. I am actually looking forward to the warm weather because of the change! I feel more confident and beautiful with my new hair. Hair Club has increased my happiness with my appearance. My children really like the way their mommy looks now. The Hair Club's product is really great and I recommend it to anyone looking to regain their hair! So glad that I found Hair Club and the staff that works in the Warwick center is wonderful. The Hair Club has been a pleasurable and rewarding experience. The staff is both professional and personable. I love the freedom and confidence my hair and style allows me! Thank you Hair Club. The girls at this center are very friendly and work incredible magic. I always leave with a smile. Very professional staff and always there to help. Since coming here i have found my self very happy with my hair! I find that the staff is very accomodating. For men who have hair loss issues, the Warwick center is very sensitive by being discreet. Always look like a million bucks when I leave. Great staff, product and service. I am going on my 3rd year of Extreme Hair Therapy and am very pleased with the results. Everybody at the center is really nice. I enjoy the treatments and am more educated about the process of hair loss. I feel like I have more tangible data with regards to what I am going through. Tracy is wonderful, just love her. She listens and always works with me. I do not have a problem with anyone else either, everyone is nice. I have been an EXT client for seven months at the Warwick location. I find it to be a terrific environment. They are all the way professional, the stylists are easy to talk to and very informative. The Warwick office provides consistent great service. I am very satisfied and have been for over the last ten years. Amanda takes a lot of time with me and does a great job. I am very pleased with the results. The service is great, the people are friendly and helpful. This has been a great overall experience! I think Amanda is fabulous and she always takes care of me! I have some concerns over the durability of some of the heads of hair lately. Other than that I don't have a single bad thing to say. The staff at the Warwick center is excellent. I have been coming here for years. The people are friendly and always help me when I have a problem. It has been a great experience and I am sure it will continue to be in the future. Tracy has always been good to me and that is why I keep coming back! I have been a client for at least ten years and I have enjoyed being at the Warwick center for all of that time. The RI Center is excellent. My stylist always does a great job and helps me to achieve the look that I want. I have been a member of Hair Club for Men since the late 1990's. I have always been treated excellently and courteously since the day I became a member. They make me feel extremely comfortable when I come in for my visits. I think the Warwick team does a good job. I have been a client in RI since 1983. The quality has remained consistent in all that time. I am so happy. I have been a client for about three months now. If I were to meet anyone who needs hair I would recommend HC to them as I know how much it would change their lives. I like this center. The people are kind and friendly. Everyone is willing to help and accommodate me. It is also conveniently located to me and easy to get to. Everybody in the Rhode Island center is great. They provide the best service and really go out of their way to treat the customer well. I am very happy with my hair and the resulting look. I have been a very satisfied customer. Both of my stylists are great and go out of their way to help me. I have been a member for many years. I have always found the staff at the Warwick, RI office to be accommodating, professional, and upbeat. I look forward to my appointments. I think that all of the girls who service my hair are the best there is in the business. This is the reason that I have been here with the same team for over 19 years! The staff is friendly and accommodating. Cindy is a great hair stylist and I trust her because she is honest, which is really helpful when making decisions regarding my hair. I am totally happy with the Warwick center. I have been a client for 30 years and have been to other locations, but I have been in Warwick for four years and I have never been as satisfied as I am with this center. Friendly staff, everyone is very nice. Tracy is a good stylist. The staff provides great service. Everyone in the center is wonderful. I am completely satisfied with how things are going with my EXT treatment. The stylists are easy to talk to and make me comfortable when I come in. Kristen gave me the best hair cut I have ever had! The staff is friendly, courteous and accommodating. I have been a member at the Warwick center for over 15 years. I have been with Cindy for most of that time and she is wonderful. The staff has been very pleasant through the twelve years that I have been a client. I am happy with the way I look, which is why I am still here! Anyone concerned about the appearance of their hair should come into the Warwick center fro a consultation. You won't know until you make the phone call. Hair Club was a good experience, gave me more confidence and has changed my life completely. Everyone at this center is professional, personable, and a joy to work with. Thank you for being so accomodating. I am very happy with my stylist, Amanda. I think she does a very good job. Every time I call, the center is very accommodating and solves any issues I may have. Jodi is always willing to work with me by adjusting my pay date during the month to match up with my pay check. The staff there is unbelievable. They have given me outstanding service for many years. I am very happy with the way I look. No problems. Fabulous staff. Always prompt and courteous. Great place. Wonderful team. They are consistently on time. The stylists and the manager are caring and willing to work with you. I feel very confident with my look. Dora is excellent, she really understands what I want. Everyone else at the center does a great job too. The staff is great. They understand customer needs and are willing to work on different options/products to retain customer loyalty. When I have a problem, they always work hard to fix it. If I need to change my appointment time to fit my schedule, they are always willing to help me out. I give this center a five star rating. The service they give is excellent. I am very happy with the way I look and I am so happy that I recommended Hair Club to my son who is also a member in RI. My stylist Cindy is the best and the service is excellent. The quality of the people and the service is always exceptional. The service here is very good and the staff are very nice. Since I have been coming here I haven't had any problems and I love the way I look! Of all the years I have come here, I have had great service. The leadership team is caring and patient. All the technicians are great (especially Tracy). They are willing to do anything they can to help me out when I need it. The staff in this center has worked to address all of my needs. They do a wonderful job as far as taking care of the product in a timely fashion. They always answer any questions that I have and make adjustments as I need them. The service is excellent. Everyone in the center is very nice and they all make me feel very comfortable. The staff is very professional and I am very pleased with the service. I would recommend to anyone. HAVE BEEN GOING TO WARWICK HAIRCLUB FOR OVER 12 YEARRS. I WOULD RECOMMEND THEM TO ANYONE. THE SERVICE IS GREAT AND THE PERSONNEL ARE WONDERFUL. The staff at this center is awesome! I have been here for over a year and have received great service. I have been a long time client and I'm still there. I have gotten to know almost everyone and especially the stylist I work with. They are all very professional and make you comfortable. So all my visits up to Warwick are pleasant and you leave looking great. I have been a client for 30 years. Of all the centers I have been to in Hair Club, I prefer the Warwick center. I normally work with Dora, but the other stylists have all taken care of me and they all are great. It has been overall good experience. I think Tracy is incredible and I am so happy with her skills. I have been a member for about thirty years (I think I was one of the first ones)! I have recommended this place to three of my friends who are now clients. I love all the women who work in RI. They are very professional and kind. They make you feel comfortable and I have worked with almost every one of them. This has been a positive experience. Overall, I have had a good experience. The girls here are cool! I have nothing wrong to say about them. They work to solve problems, and have been for the last fourteen years! I am satisfied with the product at Hair Club. The staff always fits me in whenever I need to make last minute scheduling changes which helps me out. Great service every time I go in. They take the time to really listen to your questions, comments, and concerns and want to make sure you are satisfied with their product. The ladies at the center have always been very accommodating and professional. They have made every attempt to schedule my appointments in a timely manner. As a client of more than ten years, I have been very satisfied with the product and services offered and would recommend anyone concerned about their hair loss to schedule an appointment and meet with a consultant to discuss your options. I have been a member of this location for 5 years and have no complaints. They are always professional, friendly, easy to work with, and a great experience. I have used different stylists and they have always listen given me exactly what I wanted. The manager is excellent and fun to work with whenever a problem arises. I travel from quite a distance and it's totally worth it. I am very happy with my stylist, Tracy. She works with me to find solutions to any issues. I would recommend HC to anyone! Warwick has worked with me to fit me into their busy schedule and has helped me through any problems. They always do a professional job and I have no complaints at all. I have been a member since 1994! Every time I come into the office I get good service. I have a good relationship with all of the staff. Any time I have a complaint, they fix it for me. I have been coming here for ten years. The staff has always been friendly and responsive to any concerns that I may have. I have been a member 2009 and thanks to HCFM have allot more confidence. The people are professional, understanding and willing to work with you. I if you are thinking about trying it I personally would say yes. At least make an appointment and see for yourself. I think that my stylist Dora, is the best. She does a great job and always comes up with new plans to make me look unbelievable! The service has always been good and they always take me on time. HCM is always very accomodating. The staff continually strives to make sure that you leave and remain happy. I have been a long time client and I would recommend HCM to anyone that wishes to have this type of service. Firstly, making the decision to come to Hair Club and try the services and products was a big step, but one I wish that I had done sooner. My self esteem and confidence has been completely rebuilt. I love the way that I look and I see the person that I was used to seeing before my hair loss. Secondly, the personnel and staff at the Rhode Island center, especially my stylist Cindy and the manager Jodi are amazing to work with. They are extremely friendly and always helpful in any situation. I highly recommend this procedure and the center for anyone considering doing something about their hair loss. All the staff at the Warwick office is great. My stylist Tracy is the best. I have been happy there for many years and highly recommend it. I am very happy with the stylist I work with and the way my hair comes out. The center is very punctual about reminding me for my appointment. There is nothing negative to be said, I am happy with everything! Their service is very good. They always help me with appointments and any issues I may have. My stylist Dora is excellent! I will be going to Hair Club for many years to come. The center always tries to accommodate my needs. The service is excellent and so are the stylists (and believe me, I am fussy)! They always work me into the schedule. When there has been any issues with the quality of the product, they have always made every effort to resolve them. I do wish that they would go back to retailing Sebastian Hair Spray as it is my favorite. I have been a Hair Club for Men client since 2002. I am happy with my service and satisfied with all of the staff and management. Most importantly, my work schedule is very unpredictable and they always go above and beyond to accommodate me. I started at Hair Club in Warwick five months ago. The staff really helped me out and I got my self confidence back! The girls that I work with are great. This was a great decision for me. The people are very sociable. I find all the girls informative and helpful. I started in the 90's and am very happy with my look. They always straighten out any problems. Terry H.
The girls at the Warwick Center are great. I never have a problem. I highly recommend the Hair Club to others. I have been a client at the Warwick center since 1994. Always have a good experience when I come and everyone at the center is very accommodating. I am very satisfied with the servicing I receive at the Warwick Center. Everyone is very nice and kind. I been a client since 1993. I couldn't be more happy with the service and the people in the Warwick Center. I would recommend HCM to anybody who needs it. It has changed my life for the better. Everyone here is fantastic! I can't say enough positive things about the staff and the center! The folks here are great. The facility is great. Overall a great experience. Thanks! I transferred to this facility after joining in Southborough, MA. I have to qualify tis by saying I waited almost 3 years after placing a deposit on the procedure, before actually following through with it. I read all the horror stories and negative reviews and if not for my strong self motivation, despite what others think or say, I would have missed out on one of the Best decisions I ever made. The experience has been a positive one and has improved my own self confidence and attitude. I like who I see in the mirror. The staff overall at the Warwick office are EXCELLENT with very caring attitudes and a desire to help clients feel their best, as well as, have a positive experience. The staff are very accommodating in scheduling and individual needs. Bottom line I love my new look and appreciate all the staff at the Warwick clinic. Thank you!!! Note: I am saving a ton of money on hats. I would like to compliment the service and hospitality of this establishment. I would also like to state how satisfied I am with the service I receive with each and every visit. I truly do thank ALL you for making the atmosphere comfortable and at ease. I always look forward to my next visit. See you all soon. I started noticing my thinning in my late 20s and searched for a solution. I came in for a consultation and the rest is history. I've been a member for about 3 years. Going thru this process has not been easy however the staff at HCM has always made me feel well taken care of and "normal". Cindy is my hair stylist and I love her!!! She treats me with respect and care. She makes me feel as though I am just one of the girls going to the salon to get my hair done! Everyone has been sweet and considerate and they above and beyond to provide excellent consistent service. I have been a client for over 20 years now . From the first day I joined , my life was changed for the better . I was no longer afraid to look in a mirror and the self confidence I gained was felt in every aspect of my life from the personal to the professional .From the very first day , the staff in the Warwick center have always been professional , courteous and concerned .I would recommend this procedure for anyone who suffers with the despair of losing your hair . You can do something to get back that confidence you have lost , and it starts with contacting HCM in Warwick - they do listen to your needs and treat you as an individual . I am relatively pleased with the overall services. However, as I continue to age I feel that my system does not reflect as well as I would like it based on my age. A satisfied client for 25 years . Staff is very discreet . Very accomodating if you need an interim appointment . Jodi and Donna lead a very well trained , professional staff. I have been a member for several years now and I could never convey the difference in my self esteem since joining. I started losing my hair in my 40's, I started wearing wigs, which I hated. I couldn't be outside in the wind, had to wear a ball cap at the beach, and it never stayed securely on my head. I was constantly adjusting it and wondering, "Does everyone know I have a wig on?" Now with my application from Hair Club, I don't ever worry about my hair. I'm outside in all extreme types of weather, I shower, swim, exercise and totally enjoy the freedom. I receive so many complements on my hair, the styling and the color, every one asks "Where do you get your hair done?" I never hesitate to tell them, "The Hair Club"! I can't say enough about how wonderful I feel looking in the mirror and saying "Wow! is that really me?" I look and feel younger than my 67 years and I would never give up my Hair Club Membership. To anyone reading this, don't hesitate another day, it's the best thing you can ever do for yourself! Give them a call, make an appointment, you will never be sorry. I have been a member for several years, and my experience with working with all the team has been exceptional, they are all professional and accommodating, They understand their job and are always learning new techniques. I would recommend HCW to anyone. You will enjoy the way you look and feel when you walk out that door. The employees have been treating me like family for the past 20 yrs. Donna and Tanya make me feel and look great. Professional, talented and charming! I have been a client for several years.I find everyone a true professional. My regular stylist,Tanya,listens and acts on any concerns or questions I might have.It is a pleasure ,not a dreaded appointment to keep.I am sure my stylist (Tanya) makes me feel that way.Other stylist,I had, were also very good. I have been a satisfied customer in the Warwick location for almost 9 years now. I find the staff members are always courteous to me, and the level of service is very good. I always feel a higher degree of confidence when I walk out the door. I enjoy having the same stylist, knowing my style service will continue to be the way I like . The manager Jodi runs the Warwick office in a professional manner and is always pleasant. Keep up the good work! I have been a member for 14 years and have always been very happy with the services I receive. Keep up the good work ! I have been a member for several years and each year the service gets better and better. Everyone is so friendly, they are like a second family. I could not be happier for all they do and how great and accommodating the girls are. I look forward to coming to the salon for each appointment and everyone always has a smile on their face (Jodi, Tracy, Superi, Donna, Laurie, Amanda, Cindy, Dora...hope I didn't miss anyone!). Tracy is awesome and is always there to help in anyway she can. Superi always has a smile and I love chatting with her. Jodi is the best manager anyone could ask for. Great job....great service ....great job girls!!!! Hi. I have been a client for awhile now. Jodi and her staff have been wonderful to me, with their professionalism, courteousness and reliability of always providing great services. The service and the people are outstanding! Great people to work with over the years. Thanks again for everything you do every time. I've been a member for about 10 years. The management has always been accomodating, the staff are responsive, the office keeps things confidential. The look has been terrific. By this time, virtually no one knows I'm a member and that it's not my hair. I've been stricken by Cancer and the staff at Dana Farber argued with me that my hair would fall out due to my chemo later suprised to find out it was Hair Club and nothing fell out! They couldn't believe it. So kudos to all of you at HCM. meant to leave a 5 star rating ...not 4.5 ! these girls rock !! I am extremely pleased with the quality customer service, and the knowledge of the staff. If it wasn't for HCM, I would look 30 years older. I appreciate everything they have done for me. Outstanding results instantly ! I was apprehensive about taking this avenue for my hair loss issues. I am now convinced that having taking this step in restoring my youthful appearance, was a move in the right direction ! The very attractive staff made me feel like I had nothing to worry about. I feel comfortable every time I return to the Warwick office. I am pleased with the results and the friendly atmosphere at the Warwick Office. Jodi is the coolest ! I love the Warwick Center!! My daughter has alopecia and has been going there for 18 months!! The staff is AMAZING!!! They are friendly and so talented! I appreciate everything they do for her and always with a smile!! Thank you guys for everything you do for her!! High Quality, Excellent Customer Service!! You can't ask for better staff and services. I am continuously impressed at the service and care I receive. I would never go somewhere else. I have been a member for about 5 years and can't begin to tell you how much of a change my "new look" has made in my life. The number of compliments I get and the great new way I look in photos has made this "vain" person feel 100% better. And a big time rave review for office manager Jodi and my stylist, Tracy for their incredible help and upbeat personalities. They make every visit a joy. i've been a member for several years and in the entertainment business. Without the club I would have been done a long time ago. Dora who is in Providence has been very instrumental in my success. Jodi who takes care of everything for me has been just great and I thank her. I feel young and look 25 years younger due to the club. I thank all who I have met over the years and say "thank you very much" Guess who I am"
I have been a client of the Warwick office for about 10 years. I am very happy with the service that I get. They are always pleasant and go out of their way to accommodate. Additionally, I travel frequently and they make sure that I have appointments and supplies that are needed at the various centers that I visit. I have been a client for 25 years, starting in Ct until I found the RI center which was closer. a Everyone on staff there is wonderful, with Cindy being an exceptional stylist... the system has given me back confidence that was diminishing before I went to Hair Club. I have been a member for 15 years at this center and have received quality service and the technicians are tops in there field I always leave completely satisfied and looking my best. IT FEELS WONDERFUL TO LOOK GOOD ! And these girls from The HCM in Warwick - RI, specially Stylist TANYA and Manager JODY HURWITZ are trully highly skilled professionals and the best I've seen in about 13 years that I've been with the Club. I give them a score 10 out of 10 and nothing less. Gibson V.
I have been a member for over seven years and have not looked back. This system has changed my life. Every member of the staff here in Warwick has been wonderful, and my stylist is sensational. i have been going to this center for 25 years. Jodi is a great GM who understands my needs and delivers. The stylists are all pleasant and great to work with. I have been a client in RI since 2000. The Leadership Team and stylist at the Warwick Office are tremendous professionals. Without reservation, I would highly recommend the Warwick Office! I have been coming to HC for 5 years. I was a bit hesitant at first. However, any reluctance I had quickly went away. Having Dora as my primary stylist has not only made my experience a pleasant one, but also an enjoyable one and has made my decision to be a long term member very easy because I feel younger and more confident than ever. Having been a member for several years now, I've worked with some of the other staff members too (mainly Amanda) and I have to say, everyone is extremely pleasant to deal with, very professional and an expert at their job. Thank you to the entire staff at HC of Providence. Keep up the great work. I have been a member for 23 years. No problems at all. I would recommend HCM to anyone. Great job HCM. Hi. I have been a HairClub client since the early 90's. Through my travels I have often used other Hairclub centers throughtout the country. Although they all have been great I have found that m local center here in Rhode Island has been wonderful. Hi. I have been a HairClub client since the early 90's. I have used different centers around the counrty sice I travle for a living. My local center, here in Rhode Island has been wonderful to me. Jody and her staff have always been good to me. i have had to make quite a few last minute appointments and they have always accomidated me. Great people to work with over the years. thanks again for all the hard work!! I have been a satisfied member for 11 years. I find the staff at Warwick very professional . The stylist are great, esp. Dora who has been my stylist for most of this time. I highly recommend the Warwick office to anyone. I have been a member for 12 years and love it. The people there are always friendly and the service has been exceptional since day 1 . I have been a member of HCM for seven years and have always been more than satisfied with the people and products. Led by their manager Jodi, their staff of crack professionals have been extremely reliable, consistent and accommodating in all areas of service. The product is super and well worth the money. It has boosted my confidence and has made me look years younger. I have no regrets and hope to be a customer for years to come. I have been a member for all of 20 years, and H.C.M has been part of my life. It has been a pleasure going to Prov. ever since Jodi became manager and her entire STAFF, and stylist are all great. Amanda is my stylist and she can't do enough to please you, and that also includes, Donna, (who is always a pleasure to talk to and a GREAT stylist as well) Tracy, Dora who everybody loves, and Cindy who all do a great JOB. It's a pleasure doing business with Providence. I have been going to this fine hair replacement club for well over 20 years...the staff is top shelf and Donna,one of their many competent hair stylists, has serviced my hair with the same skillful attention and dedication, as if I were a member of her own family..I cant tell you how many of my colleagues have thought that I was always blessed by a full head of hair...psychologically and emotionally ,my hair replacement has been a true blessing to me .. I've been a member for over 20 years . They do a great job in the Warwick R.I. center at making sure u feel good about your new hair and making any adjustments to your style to make it look very natural.The staff is friendly,and professional ,and my stylist Tracy is a great asset to the club. I have been a client for over three years now and I can't say enough good things about the center and their staff! It has truly been a life changing experience for me. I HAVE BEEN A CLIENT FOR 25YRS,AND I HAVE TO SAY, THAT THE QUALITY AND PROFESSIONAL EXCELLENT IS NEXT TO NONE .THIS HAS BEEN A LIFE CHANGING EXPERIENCE FOR ME!!!!!! THANK YOU SO VERY MUCH, HAIR CLUB!!!!!! The staff is great. Been a member for 5 years , I love the way I look and it changed my life! I have been a client for 6 years and cannot say enough good things about the Center and the Service. This is truly a life changing service that they provide. Everyone is always very professional and sensitive. The quality of the product is excellent. Anytime I have had an issue, they have always gone above and beyond to help resolve any concerns I may have. The stylists are great and do a lot of behind the scenes work to make sure every visit is a pleasure. Anyone who looks in the mirror in the morning and is less than satisfied with how their hair looks should seriously consider Hair Club. This was one of the best decisions I have ever made and would do it again in a heartbeat! I've been with the hair club sense 2004 which has been a wonderful experience with them. I found them to be very curtious and very caring with my personal needs. Also the staff there at hair club is just so great to me!!! After traveling more than an hour to be serviced at the Boston center for about 10 years, I called the Warwick center one day about 8 months ago and spoke to Jodi about making a change. It proved to be a great decision as Jodi and her team have done a great job for me. My stylist Cindy is very talented and knowledgeable and attentive to my needs. I appreciate that they are willing to make custom templates which the Boston center no longer would do. I would highly recommend the Warwick center and HC. The Warwick location has a very friendly staff. They work with you have you have to reschedule an appointment. All the stylists are great and are very helpful. The service at the this location is by far the best. I have been a member for over three years and the staff has made it a very easy experience . The management is equally helpful and very caring . One thing that stands out is there staff, I don't have a favorite cause I have four favorites . At any time more then one stylist can accommodate my needs cutting down the wait time during my busy life. This office treats you not just as in important customer but a real friend caring and understanding . I`ve been a member over thiry years, starting in Boston with Steve, I still find the service and the peoople involved from the office staff to the technicians, very polite and always willing to help the customer, whenever there was a problem with a product they went out of their way to accomadate you and make sure you were satisfied. Been coming to the Warwick RI location for 10 years. I live out of state and still drive to this location. The staff here has been amazing from the start. Always willing to work with my hectic schedule whenever they can. I started balding in my early 20s looked at my options and this seemed like the best choice. Best thing I could have done for myself! My hair always looks great! I've been a client for over 15 yrs. That should say it all!! 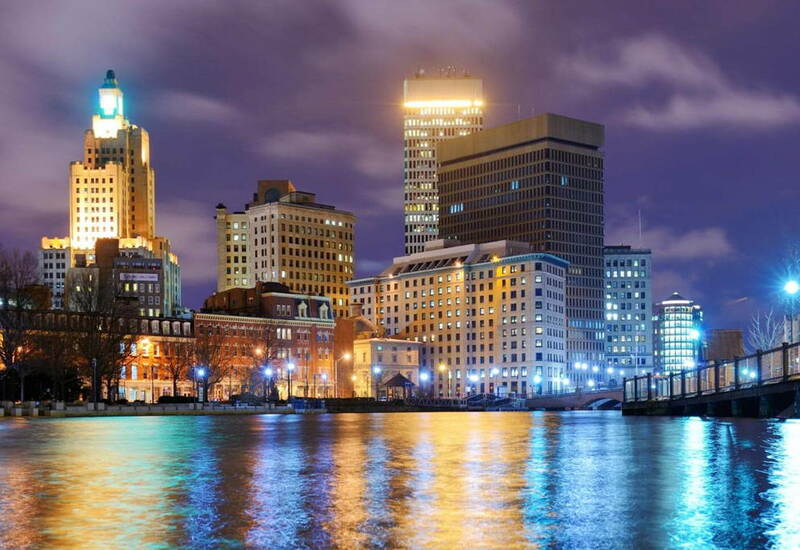 The staff in Providence is the most helpful and caring group of professionals. I look forward to the next 15 yrs!! I am a new client I have been going to hair club sense Nov.2012 I have really enjoyed my experience with the staff and having my hair back a long with my confidence. I have gotten great compliments from co worker's,friends and family.I highly recommend the Warwick Center's hair club to everybody who wants their hair back. My teenage daughter, who was diagnosed at the age of 3 with Alopecia, has been a client of the Hair Club for the past 6 years. She has been wearing a hair piece since the age of 5. Unfortunately, her previous hair pieces would look shaggy, and frizzy. Then her dermatologist told us about the Hair Club for Kids! All of the staff have been so helpful, professional, and caring! I cannot thank Jackie, Jodi, Amanda, Dora, and Tanya enough for all you have done over these years! She is so excited when we go to have her "hair" done! Other than the people that know of her medical condition, no one has ever suspected it is not her own. The products are great, smell good, and her hair does not frizz. It just looks natural! As a parent, I am so grateful for the service she receives, and how it has significantly assisted in the self-esteem of a teenage girl!! Been a client for almost two years.The staff is extremely pleasant and friendly. Would definately recomend!!!!! Thank You Warwick Center!!! I have been a satisfied client for about 10 years. Thoughout the years I have worked with all the hair stylists and each one of them is extremely professional. In addition, I would like to give a special thank you to Jackie for taking care of me over the past five years. The staff at providence is hands down awesome! They are professional and flexible with appointments.I enjoy my life more then ever since becoming a hair club client. I am looking forward to continued business with them! I have to say best thing I ever did, gave me more confidence.I really enjoy going everyone in the Warwick office are very nice. From the time you arrive till the time you leave you feel comfertable. I have received a lot compliments.I highly recommend Hair Club in Warwick R.I. I want to especially thank Donna, who does such a beautiful job,she is just great,also thanks to Jodi. I have been a member with the RI center for 3 years. I lost most of my hair to chemo theropy and as I got older my hair started thinning. Since I started coming to the RI center my self confidence level has grown. I enjoy doing things with my husband,kids and friends that I never thought would be possible. Being a member has been a life changing experiencing for me. I just want to say thank you to Jodi and all the great stylists for giving me my life back. I've been a member for over five years and have been completely satisfied with the service. Jodi's team is professional in every aspect. My stylest Jackie always greets me with a smile and always does a great job! I have been a client of the RI center for over 10 years and the staff are very cordial, professional and accomodating The stylist are great and so is Jodi. I want to also extend my special thanks to Cindy who is excellent in styling my hair, cordial, professional and her expertise and skills are phenomenal I look forward to many future years with the RI center and their staff. I've been a client for the past twenty years or more and have always been extremely pleased and appreciative with the services provided by their hair stylists as well as the receptionists, all of whom make you feel like you are truly importnt to them as well as always eager to be accommodating. The availability of their services has certainly impacted my life as well as the quality of my social and professional interactions. I've been a satisfied member for 12 years now and can't imagine my life without Hair Club! I feel beautiful again! I've been working with my stylist, Cindy, from the start and her professionalism, her compassion, and friendship continue to mean so much...All the staff at Hair Club are top-notch! Joanne H.
I have been a client now for 8 years and counting and plan to be a member for many years to come. Jodi has managed to pull together and maintain a highly professional, kind and skilled staff which you do not tend to see in most organizations these days. I have a somewhat difficult schedule and work out-of-state which makes weekly visits difficult. The staff has always accommodated my last minute changes, coupled with the fact that Jodi worked patiently with me last year when I lost my job. Her door was always opened and I was not made to feel uncomfortable in any way when I went thru several months of not being able to pay on-time. I would highly recommend the services of the Warwick office to anyone. I have been a member since 1997 - I lost my hair while still in my early 30's and can't even begin to to tell you the change in my confidence level once my appearance once again matched my chronological age (some people think I'm actually younger than my real age!) I've worked with all the staff members and can tell you they are all very good at making me look and feel my best. I've been a member for a little over half a year. I find the employee's to be very friendly and professional. I've had no complaints with the services provided to me and look forward to a long relationship with the company. I especially would like to thank Tanya for her skills and making each visit comfortable. I have been with the company since 2001. The employees at the RI location have been very professional and accommodating in every way! Great job guys! Hair Club has been a great option for dealing with hair loss. I went the hair transplant route first. When you see those commercials, they never show you someone who had total hair loss, nor do they show you the back of their had after the hair transplant procedures. Why?, because what they don't tell you is that you will never have enough donor hair to fill in the balding area unless it's only partial loss in the front or back. To make a long story short, I'm glad I got with Hair Club as their product covers up the inadequate transplant job and looks totally natural. So natural that I get compliments from people saying "how lucky I am to have such a nice head of hair". Rogaine didn't work for me either and doesn't for most people. Hair Club can be pricey depending on which system you choose, but for me, it was the only alternative to going with the shaved head look. My daughter has been in their Kids Club for the past three years. I can honestly say they have always made us feel very comfortable and relaxed in very visit. You can truly feel the passion in the work they do and for that reason my daughter leaves there with a great big smile! What else can a parent ask for. I have been a very satisfied customer since 2008. Everyone at the Rhode Island Center is great they are very professional and treat you like family. I have a crazy schedule and they always work with me. Thank you for your excellent service. My experience at HAIR CLUB has been very important to me and my husband. I was always hated to go out anywhere because of my bald spot on my head and my post chemo very thin hair. After hair club I am much more confident and it even helped me at work. The staff are wonderful and they stay working there so you have continuaty of sylists. I would heartily recommend hair club to anyone. I tell people about my hair and they cannot believe it isn't my own hair. My daughter has been wearing a hair piece/wig since she was 12 years old, she is currently 19. Hair Club of RI, in Warwick has always been extremely understanding and thoughtful as we encountered each milestone together. They went above our expectations and brought on a certain ease that helped our child go through her teenage years wearing a wig. When I brought my daughter in for the first time, she was wearing a piece that should have been in the trash months prior (from another establishment). After the initial fitting at our very first visit we were leaving when Jodi ran after us in the parking lot and asked us to come back in. She was able to locate an unused hair piece that our daughter could have while she waited for hers to be created. I can’t put into words how this act of kindness affected us. Our daughter had been keeping a low profile, meaning she spent most of her time hidden in her room at home. This act of kindness and their continued helpfulness reformed her life! I would like to say that because of their compassion and kindheartedness we are able to endure a most difficult condition. The Hair Club of Warwick continues to go beyond our expectations and we have been immensely thrilled with their practice, especially Tanya, who always does more than is necessary. She goes above and beyond and makes each visit quite enjoyable! Thank you Hair Club for having such a top notch outfit with compassionate valued employees!!! I have been a client of hair club for three years and I am totally satiisfied with the services I have received. I cannot put a price on the self esteem being a member of hair club has brought me. The staff are totally professional and do everything in their power to make your experience a wonderful one. Don't fool yourself you do and will look and feel better with a full head of beautiful hair. I have been a Hair Club client since 2006. My hair started thinning when I was in my twenties. It was devastating to watch my hair getting thinner each year. I was self-conscious whenever the wind blew or I sat under a bright light. An ad in a magazine drew me to the hair club (which I thought was just for men). After the warm welcome during my consultation from the knowledgeable staff, I felt like I was ready to take this step to feel better about myself. It was the BEST decision I have made. I have received many compliments over the years from people who have no idea the I am a client. People ask me where I get my hair done!! I have to say I am happy to let them know that I am a Hair Club client! The stylists are awesome - always taking their time to make the system work for you. I have been a client for 6 years. I have never looked back! I hated going anywhere because I was sure that everyone was looking at my thin hair. I was self conscious and withdrawn. Now I feel good about myself,love going out, and love when someone tells me how nice my hair looks! My husband says he's married to a new woman! The system is completely undetecable and totally natural looking. The staff are all very professional and friendly. Best thing I've ever done. I look forward to a long relationship with HCMW!!! I've been a client at RI for several years. It is a very well run center, the staff is professional and they all have great personalities. I've been to 5 different centers in major cities throughout the US and of all of those I have to rank RI as Number 1. It's the real deal. They are very discreet, confidential, understanding in what is an emotional/ difficult situation for a woman. The hair is great and it is an affordable service that is a lif changer. Also the stylists are wonderful and very talented. -Trisha B.
Iv'e been a very satisfied member for over 15 years. the hair is completly undetectable and the smiling staff @ Warwick location are easy on the eyes and always pleasant. They are gentle ,discreet but also give you firm attention to details the way you want to look for any mood from Aristocrat to Sassy.Your born with one head in life you just as well make it look good like the rest of you.Join the club . Note (this is unpaid endorsement. Michael L.
Been a member for 5 years. joining is the best thing I ever did, I feel great and look great. The staff is outstanding. I recommend Hair Club to everyone ! John M.
Been a member for 5 years. joining is the best thing I ever did, I feel great and look great. The staff is outstanding. I recommend Hair Club to everyone ! -Lorenzo L.
Great place to go Changed my life. Adolph M.
When I retired (age 53) I noticed that I was really entering into that "male pattern baldness" part of my life. I was too young, too healthy, too active, and too concerned about my appearance to let this continue. From my first visit to the Hair Club, I knew that this service was going to work for me. And ever since, the total caring and professionalism of the staff has made me so glad that I made that decision, enhanced my social life dramatically, and has my self esteem reaching new heights all of the time. Needless to say, I recommend the Hair Club enthusiastically. Howard L.
I have been a member for 7 years and have received exceptional service. I wouldn't change a thing.. Michelle R.
The way the matrix matched with my own hair is what I liked the most. - Rich C.